Temporary Fencing Hire : "On Time, Every Time"
If you are planning a new home, extension or renovation, GHL TempFence is a market leader providing kilometres of competitively priced temporary fencing to builders, the building industry and housing groups with a wide range of fencing products to secure your building site. We promise On Time, Every Time and a high level of safe, secure site protection for any size of project installed by a professional team providing practical efficient fencing solutions. 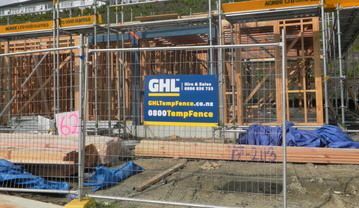 GHL TempFence can quickly secure your home or residential building site with their portable fencing solutions. We hire temporary fencing for all types of building and maintenance works, including: Home Building, Demolition, Renovation, Extensions, Landscaping, and Enclosures. 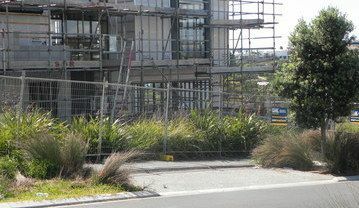 Our Temporary Fence Solutions have been developed to protect your site and keep the public safe from dangerous areas. 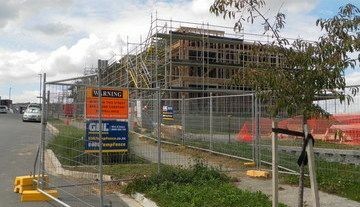 Residential projects also demand safe working environments and a high level of protection of public safety for which we provide an industry leading portable, secure, stable, site fence solution to secure any building site. Our GHL TempFence systems are robust, installed with bracing and opening gates by a can do team making our Temporary Fencing solutions ideal for long or short term projects of any size. Our Temporary Fence Solutions also include shade cloth for privacy or dust screens with substantial bracing options for the safety and stability of the temporary fence. Infrastructure & Civil Temporary Fencing, Event Fencing, Crowd Control Barriers, Temporary Pool Fencing and Commercial Temporary Fencing.